Our personalized massages*, which take place in your home or our massage studio, are designed to give you a unique and authentic experience. Totally personalised, the style of your massage is determined after a private pre-treatment consultation with you (as to how a treatment proceeds). After this consultation, a treatment plan is written up detailing exactly what we propose and what the massage aims to achieve. Our aim is to work together to help you create your very own personalised massage under our expert guidance. We strive to help you experience a moment of wellbeing. We create a spa ambiance and service at your home by using the very best equipment (the quality of our tables, towels, herbal teas, incense and lighting). Before and after your massage we offer you an organic herbal tea especially chosen to emphasize the benefits of your treatment. In order to enhance your treatment experience, we prepare our own organic massage oils that are custom blended with essential oils, that are tailor made for each clients’ needs. We also offer massage treatments at private events, (parties, birthdays, weddings…). Wherever you choose to have your massage, (home, yacht, holiday home, office…), our massages bring you comfort of being in the place of your choice. The effects of your wellbeing massage will be long-lasting, as you continue to relax after your treatment. You will benefit from the peacefulness and the security of your own personal environment that we have helped create for you. 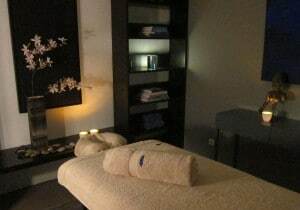 And finally, as we are available when you are, our massages will perfectly fit in around your schedule. In the case you wish to take advantage of our massage studio, we offer the possibility to experience a Blue tree massage at our home and to benefit from an exceptional wellness in our own sensitively created ambiance. (*) Our massages are carried out without any medical or therapeutic intention.